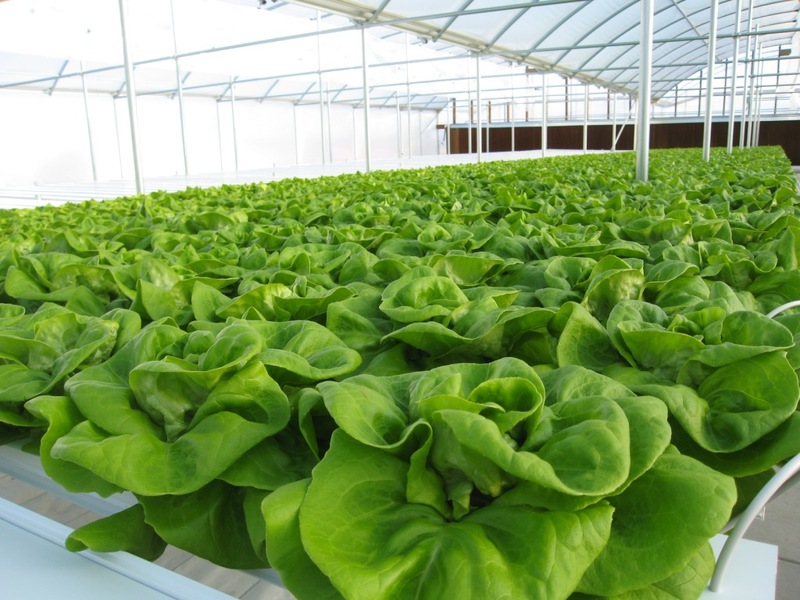 In this blog we are having a look at nutrient solution in Hydroponics, if you are new to Hydroponic gardening then this is a must read. If you are a seasoned grower then look at it as a refresher, sometimes it’s helpful to think back to basics. It’s not really possible to cover every aspect of nutrients and their uses in one article as it’s a huge subject so this is kind of a detailed overview. There are various different methods of Hydroponic gardening but regardless of which system you are using you always need a nutrient solution. For the total newbies among us, in simple terms nutrient solution is simply water with added nutrients and enzymes and that’s about it, just because you are growing with Hydroponics doesn’t mean it has to be over complicated. The nutrient solution is either pumped or delivered by hand to the plants depending on what system and grow medium is used. There are a few important things to consider when preparing a nutrient solution; water quality varies greatly depending on where you are in the world so one of the first things you need to consider is whether you are using hard water or soft water, a rule of thumb is that if you find it hard to get lather when using soaps or washing up liquids then you most likely have hard water. Usually your local authority will have advice on water quality or search online to determine which type you have. Many good hydro shops will be able to carry out a simple test to determine the acidity/alkalinity of your local water. It’s important to find out which water you have as this will decide which type of nutrient you need to be adding, many nutrient companies supply both hard and soft water versions but it is also possible to buy universal nutrients but I wouldn’t advise it, putting a little effort in to determine which water you have will make balancing your CF and PH levels within your final solution easier so it’s worth the effort. Using fresh clean tap water as a base for a nutrient solution is nearly always best; using filtered or bottled water is usually not necessary and can in fact cause a nutrient deficiency in plants. There is an exception to this rule, if your water is so hard or so soft that it is not possible to get a steady PH or CF reading then it is worth considering a reverse osmosis system but that is a subject on its own which I will try and cover at a later date. The principles for making a mix or nutrient solution is pretty much the same regardless of the actual system you are using but the steps below are based on using NFT system in a poly tunnel or indoor area. You will need a CF truncheon and a PH meter to accurately measure the levels at the end. There is more on these tools below. Fill the reservoir or tank with fresh water, cold is best as it contains more oxygen, warm water destroys the oxygen in water so if you need to add hot do it sparingly, you are aiming for a water temperature of around 60 degrees but as a guide tepid cold is ok but not freezing cold as it will shock your plants on circulation. By this time you will have already decided which brand of nutrient you will use, some nutrients come as a single formula some are in A and B form. Add the nutrients before adding any enzymes or other additives. If you are using A and B it is important that you do not mix them together in their undiluted form, add the A part to the water first then mix thoroughly and then add the B part and mix again. Rule of thumb here is don’t put too much in at once, it’s easier to slowly build up the levels than to put too much in and have to drain the whole thing and start again, checking as you go by dipping your truncheon/meter in the water. Nutrients are measured using a CF truncheon or meter (readily available at all good hydro retailers), the level you need to set the solution at will depend on the plants you are growing and the stage you are at within the grow cycle, many plants like different strength foods so it’s difficult to generalise this part of the process. You will most likely need to change from Veg to Bloom during the grow cycle but again it depends on what plant you are growing, the principle for mixing is still the same. Once you have added the nutrients whether in single pack or A and B you will need to look at adding some enzymes, unlike soil growing you have the control over which enzymes you use and how often. Enzymes are important to hydroponics as it puts all the micro-biological chemicals that plants need into the solution. 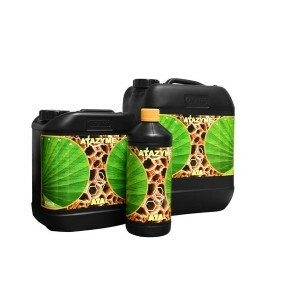 Check with your hydro supplier to see which enzymes suit the plant you are growing best. My personal preference is Atazyme which is a highly concentrated liquid form of natural enzymes. Follow the instructions on the back of the bottle with regards to dosage, usually about half a ml per litre in the reservoir, adding a small amount of luke warm water to the enzymes will help the solution break down the enzymes and make them more readily available to the plants quicker. Once you have vigorously mixed the solution the final thing you need to do is check and maybe alter the PH level. Depending on if your water is soft or hard you will need to stabilise your PH using either PH Up or PH down. Most plants like a PH of around 6.0 but again this varies from plant to plant. Add the PH stabiliser in small amounts, checking frequently with your PH meter. Once you have the desired PH you can then circulate the solution to your plants. See further info on PH below. In NFT and other hydroponic systems it is recommended that the PH is checked and adjusted on a daily basis to maximise nutrient uptake by the plants. On a NFT system and all Hydroponics system’s it is recommended that you totally replace all the solution at some point during the grow cycle, I strongly recommend that this is done on routine intervals once a week. Replacing the solution every week means that you replenish everything within the tank or reservoir and are keeping the solution clean and fresh which should mean a healthier plant and bigger yields. 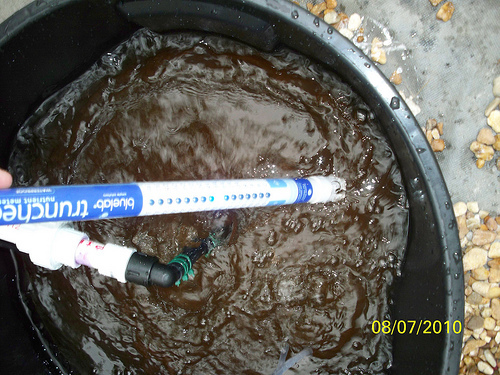 It is worth taking time to get your solution correct before you circulate it, remember that although you can add some additives in between the weekly pump out and clean cycle like Oxygen and PH stabiliser and even fresh water to your solution after you have circulated it, you cannot add nutrients once the nutrient solution has been mixed and circulated, so if it’s too low you cannot adjust it mid-week, to adjust a low nutrient level (CF) you will need to replace the whole solution. After circulating the solution for a few days it’s possible that the nutrient level will rise, often due to the plant taking up the water and leaving the heavier salts in the tank and perspiration. If this is the case fresh water can be added to lower the level back to an acceptable one, you will also need to re adjust the PH level. Nutrients will not breakdown if you add them afterwards, even by one day later, adding nutrients to a circulated solution will usually give you a nutrient imbalance and quite possibly a high and possibly toxic amount of salts to the plants. So rule of thumb is to get it right before circulation. When you add the nutrients to the solution you are basically adding salts, these are measured in PPM or parts per million. Different plants thrive at different CF levels so it’s important that you do your research on the actual plant you are growing and find out what levels of CF they thrive on. If your CF is too high and not corrected the plants are likely to perform poorly and possibly die due to high levels of toxic salts. PH measures the acidity or alkalinity of the water; this can vary greatly from area to area. If your PH is not within the acceptable range then the plant will not be able to take up the all-important nutrients and enzymes. One of the positives of hydro gardening is that both the PH and CF can be easily monitored, controlled and corrected, something not possible when soil gardening, well at least not to the same consistent accuracy. A CF meter or truncheon and a PH meter are both must have tools for the hydroponic gardener. For information about Aeroponics click the Green link highlighted in this text.